The Toulet family were descended from the 16th c. seigneurs of Buros, in the department of Pyrénées-Atlantiques, Aquitaine region. 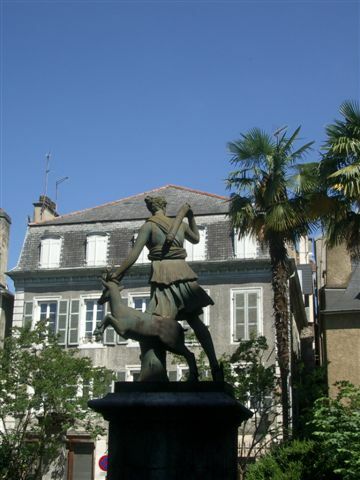 The village of Buros is located in the commune of Morlaàs, part of the district of Pau and a fountain in the village, now destroyed, once bore their name. But some of the family had long since emigrated, in particular to Mauritius, where they became planters. Son of Pierre, advocate, and of Marie-Emeline Catalogne, Bernard-Gaston, Paul-John's father, was born at Pau 20 July 1840. His ancestors were farmers and gentlemen. Pierre Toulet had 3 sons - Gaston, Paul and Adrien, and 2 daughters, Louise and Amanda. Although the family maintained that Uncle Paul at least had married a pretty Malagasy princess, by whom he had 4 children, the reality is more prosaic. Before he settled in Mauritius, sometime after 1864 (he did not attend Gaston’s wedding) Paul made two trips to Mexico. When he returned to Mauritius he re-joined his brother in La Savanne, where he married Marie Jolivet in October 1869. He was a witness at Gaston’s second wedding in 1877, to Rosette, daughter of Isidore Loustau-Lalanne, older brother of Marie-Emma. Paul’s wife died in 1890 and Paul himself in 1898, aged 59. His death notice states that he had been overseer on the Belle-Vue-Maurel estate, in the Rivière du Rempart District to the north. Before that he had run his own sugar plantation, the Mont d’Or, near Ruisseau Rose, Pamplemousses, at the same time as an aloes spinning mill. Adrien or Edouard, was born 30 March 1842. He ran a ferry service at Tamatave, Madagascar, before marrying Antoinette Agnès of Chazal, Mauritius, and shared his life between France and Mauritius. He was in Pau around 1879 where he looked after Paul-Jean as he attended the lycée. He stopped travelling to settle as a planter at Chemin Grenier, in the south of the island, where he died childless, in 1891 aged 49. Gaston emigrated around 1861-2, still in his early 20s to join his exotic relations. He initially found employment in a small property called La Louisa, attached to Belle-Vue-Harel. Impressed by the fecundity of the land, he decided on becoming a planter on his own account and settled in the south at La Savanne, where he found acquaintances of his father, émigrés from Béarn, already well-established. There he met Marie-Emma Loustau-Lalanne at a dinner and married her 26 September 1864, in La Savanne, and became a planter like his father-in-law. 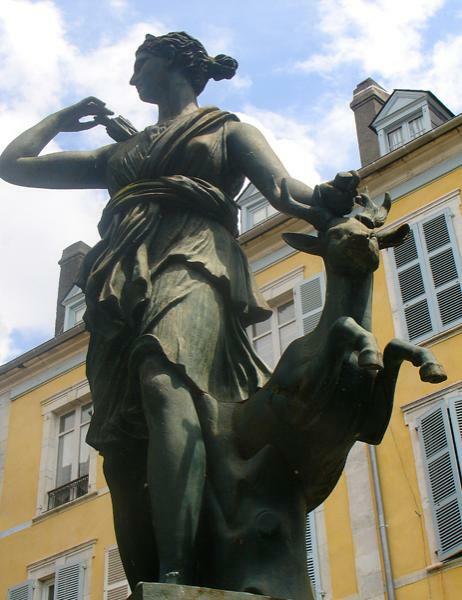 When his wife became pregnant, the Toulets voyaged to France, where Jane was born. They returned with the baby and a nurse they found in Lescar, a small village 5 km from Pau. Marie-Emma Loustau-Lalanne was 13th child of Pierre Loustau-Lalanne, also a planter, also from Béarn stock. She was born at La Savanne, Mauritius, 31 March 1841. Of their fourteen children Emma was second to last. Although Paul was conceived in Mauritius, his parents wanted him born in France so they came back to Pau to la maison Lapleine, 16 Rue d’Orleans, to his paternal grandparent and former advocate Pierre Toulet. The house was rented by a M. Dabadie, most likely Eugène who married Louise, Gaston’s sister. He was an artillery officer, scion of a military family whose tradition went back to Louis XV. Paul was born June 5th 1867, his birth registered at the Mairie the following day and he was baptised the same day in the parish church of Saint-Jacques. Some of Toulet’s biographers assert that Toulet’s parents were anxious to have him born in Béarn, for sentimental reasons – Béarn being his ancestral home on his father’s side. Solange de la Blanchetai, Toulet’s niece, is of this opinion. (She pointed out that Bernard-Gaston made the return voyage at least seventeen times, as he wished the children of his second marriage to become familiar with their native land.) However, there may have been more pragmatic reasons for undertaking the voyage. Alex Ichas points out that there was an inheritance issue of eighteen years standing, to be resolved, since the death in 1849 at Haget of Pierre-Isidore Loustau, uncle of Emma, Toulet’s mother. Pierre-Isidore Loustau was a bachelor at fifty, himself the recipient of three large bequests, and at his death the inventory of his vast fortune took three months to complete. What’s more, in 1866-1867, a violent malaria epidemic occurred in Mauritius, resulting in 40,000 deaths in a population of 330,000, with 6,000 deaths occurring during just one month in urban Port Louis. After the epidemic, Mauritius was notorious throughout the world for its intense malaria transmission. So clearly there were multifactorial and pressing reasons for Gaston and Emma Toulet to quit the island for Béarn, even with Emma three months pregnant. They embarked at Mauritius on the Emirne, belonging to the Messageries Impériales, 18 January 1867, bringing with them the ten-month-old Jane, together with her French nursemaid. Gaston remarried in May 1878, to Rose Loustau-Lalanne, eldest daughter of his brother-in-law Isidore. She was considerably younger than he, born in 1859, and gave birth to seven boys: Adrien, Francis, Stephane, (who died aged four while Paul-Jean was in Mauritius, in April 1886), Guy, Marc, Georges and Philippe. Rose died in 1897 and Gaston remained a widower for the rest of his life. He sold his estate, Surinam, when business was poor, and passed the remainder of his days living in familiar surroundings with one or other of his sons. He died on 16 March 1922, at Guy’s house at Mon-Loisir-Rouillard. Paul-Jean later accused him of ruining him - something he was well able to do of his own accord. N’a que la jambe droite. The portion of his childhood not spent at Billères or Pau, was spent at Carresse, which he inherited from his mother. Carresse had belonged to his grand-uncle Pierre-Isidore Loustau, one of the sons of Jean-Charles (Jeanny) Loustau. He had lived there until his death in 1849 when it passed to his sister Auguste-Félicité, who left it in turn to her daughter Emma. Memories of Carresse inform some of his novels. A description by a character in Les Tendres Ménages can only be of Le Haget: "C’est ici que j’ai eu le premier sens de la vie un peu profound pour la gourmandise avec les plats sucrés qu’on nous servait dans la vaiselle Emoire où il y avait des vues de places bien pavées, ou d ‘Agrigente, sur ses assiettes jaunes." Léontine, the laundress, remarked on the sadness and the sort of haunted air that would possess the child whenever he remembered his mother. Paul-Jean spent almost all his holidays at Carresse with the Adrien Toulets, the Dabadies and the Terlés in turn. His grandfather Pierre died there in 1892. He followed a course of education there as irregular and spasmodic as at Pau. His aunt Louise Dabadie would teach him, and Jane, and her own children, some current affairs when she came on holidays. Even the principles of algebra! The Abbé Puyoo, curé of Carresse, started him off in Latin. At age 11 he wrote to his father complaining of the spasmodic nature of his education, which he blamed on his health, or on his teachers, one or the other of whom being frequently absent. He also complained of his eyes, often red and sore. Paul-Jean only returned to being a “demi-pensionaire” during third class. As a scholar, his fellow students recall him as being very bright, taking first place in French composition but also obtaining distinctions in Greek and Latin. He enjoyed his lessons, and he was already a voracious, if omnivorous, reader. At the end of the 1879-1880 school year he only came second in classical recitation and in German, but he had been ill in the beginning of that year. In October 1880 he entered fourth. His father was still in France but had to return to Mauritius in the early summer of 1881, together with his new wife, two children, and Jane, now fifteen. At the end of the fourth, Paul-Jean obtained firsts in French composition, history, geography and German; second prizes in Latin and Natural History, grammar and distinctions in maths, religion and Greek. He read fluently in German and English. Years after his bac, before quitting Paris for Béarn, he would amuse himself translating Greek verse into French – something he returned to later again. Dartiguenave, whose father was an art teacher at the lycée, recalls a composition by Paul-Jean on the subject of fox-hunting being read aloud by his teacher, M. Artaud, as a model composition, certain passages being favourably compared to Daudet! It seems an unlikely subject matter for a class of French teenagers. But fox-hunting had been established as a country pursuit in the region since 1847. In 1875 the Pau Foxhunting Society consisted of nine members, seven of them British, meeting every Tuesday, Thursday and Saturday from mid-November to mid-March. Distinguished guests included the Prince of Wales, and the Duke of Westminster. The hunt frequently departed from Billère, affording Paul-Jean many opportunities to observe the riders in red coats and white pants, with their horses and hounds. The essay was no chore, as he revelled in the descriptions of the landscape of Pont-Long, the autumn dew, the dark green ferns and the broom, trampled by a troop of horsemen red-jacketed like giant poppies. And thus it continued, each week during the school year – at least until his abrupt departure at the end of January 1882. After the fourth, at about 15 years of age, Paul-Jean had changed, mutating into an unruly rascal, to the extent that he was eventually expelled for having played “un tour pendable” on a teacher. Dartiguenave describes a certain invigilator, a M. Pujo, bald, solemn, with the profile of a bird, who revelled in doling out detentions. Pujo affected to speak Latin to both pupils and masters. Only his favourites might address him freely. Words were often exchanged between him and Paul-Jean in a Latin and French together. Harassed beyond endurance, Paul-Jean concealed an ink-pot in his hatband, which doused him when he turned it over to put it on. Pujo had him thrown out. Another version had him expelled for an incident involving insolence at morning prayers. But whatever the reason, Paul-Jean was soon looking for another school. Before he left, he wrote in a letter to Jane that the only teacher he found to his liking was he who taught French, Latin and Greek. The history teacher had started to be a cross-patch, the German teacher was already there, and the PT instructor was refining the art of boring him. Paul-Jean’s enthusiasm, so evident in the fourth, had started to wane. And M. Artaud had been given the transfer he had requested. On May 1st he entered the Institut Charlemagne, still in Bayonne, and run by a M. Burguières. He entered as a boarder, although he got out regularly. At M. Burguières he made the acquaintance of a Basque lad from Labourd, robust and wealthy – sufficiently so for Paul-Jean to see him later on whenever he returned to Bayonne. He is transmogrified into M. Bordaguibus in his verse, and the character Etchepalao in La Jeune Fille Verte. –and he turned up in the chapter on his friends in les Impostures. It might be the case that at the Institut Charlemagne the regime was less strict, the pupils fewer in number, and Paul-Jean, though he hadn’t completed his third, was admitted straight away to follow the bac course. He applied himself to such an extent that M. Burguières sought a dispensation to have him take the first part at the end of that year - a request that was denied. So he had to wait another year. He wrote to his sister from Carresse in August that he had almost gone down in Greek and Latin – his French and German got him through. He was in Bordeaux in December 1883 in the Institution Courdurier, effectively a crammer, to prepare for the second part of the bac. In a letter to Jane dated 10 March 1884 he announced that he had been yet again sent home, apparently for scorning a college dinner and choosing to dine elsewhere. Courdurier was incensed. Mme Courdurier, the other students, and Uncle Eugène all appealed Courdurier until he agreed to accept Paul-Jean back after Lent. He was still there in November - he should have passed the bac in July. In was not until 26 July 1885 that he finally graduated. He had quit the Institution Courdurier, and come to live with Uncle Terlé in Saintes, where he was stationed after Pau. Toulet recalled his time in Saintes with affection more than thirty years later, referring to the college at Saintes as the only one from which he was not expelled. Mind you, he admits he only turned up five or six times. His approaching exams did not prevent him from holidaying in the Basque country at Easter, a region that was new to him. He visited Saint-Palais, Ostabat, Larceveau, Saint-Jean-Pied-de-Port, Arnéguy, Valcarlos and Arradoy. Apart for some brief comments on the landscape, he notices the “très jolis filles” of Saint-Palais, and also at Valcarlos, one especially, “gracile, à un lavoir.” At the end of July he returned to Pau, and explored the valley of Ossau, land of his forefathers (“une Espagnole très blanche et très belle” was noted at Eaux-Bonnes). He spent three weeks at Cauterets, dividing his time between the theatre and the casino. He notes in his diary that he had lost some money at roulette - it seems he hadn’t yet discovered the siren call of baccarat. He left there on September 6th, returning briefly to Carresse before spending a month a La Rafette. He records a day of Perpetual Adoration at Carresse, the children of Mary, white in their muslin veils, the black dress of the old folk, black kerchiefs, peasants dressed also in black – and like flowers among the buckwheat, the kerchiefs of the girls, whom he names – Marion, Cadette, Jeanneton. He spend one afternoon reading the complete 4th volume of Houssiaux’s edition of Balzac. Son bras. Prends le baiser. Paul-Jean was gaining a reputation as a bit of a rake. Many years later Jacques Dyssord notes that he was remembered in the locality as a young man who was too knowing and forward to leave a young lady alone in his company. Dyssord heard it at the château de Cassaber, birthplace of his grand-aunt. Paul-Jean’s family knew it was not in his best interests to let him to his own devices in Carresse. Secondary school over, Paul-Jean dreamed of studying law in order to enter the diplomatic service and become an ambassador – or just a consul on Mauritius. But the old family doctor, Doctor Foix, of Salies, thought his health too delicate for Paris or the Pyrenées. Paul-Jean had written to Jane about the possibility of visiting Mauritius the following year. While waiting for a decision from his father, he was sent to stay with his Aunt Amélie, his mother’s younger sister, and her husband Aristide Chaline, in Saint-Loubès in the Gironde, where they had bought the château of La Rafette in 1877. La Rafette continued to be an important refuge for Paul-Jean for the remainder of his life, and for Jane, who eventually inherited it. So “petit Paul” as the family knew him, had to leave behind the shady plane trees of Carresse and the accommodating benches of Beaumont park in Pau for the balmy sands of Savanne and the plaintive song of the casuarina trees, like silk rubbing on silk. Urruty investigated the why and the when Paul became Paul-Jean. Both his birth and baptismal certificate record only the single name Paul, and during his childhood he was always called either Paul or Petit-Paul (sometimes Monsieur Paul) - never Paul-Jean. In her unpublished memoirs, Paul’s niece Solange (Jane’s daughter) traces the metamorphosis to the period 1884-1885, when Paul would have been 17 or 18. Solange found the earliest letter that was signed Paul-Jean was dated 4.5.1885. But he signed variously Paul or Paul-Jean even after 1885. However, it was certainly before he set out for Mauritius that he introduced the change. The reason for the change hinges on the French pronunciation of his initials P. T. Solange de Fougiéres wrote: Pour l’euphonie de ses initiales il n’a pas voulu s’appeler Paul Toulet car cela le choquait fort de voir broder ses mouchoirs ou marquer son linge de ses deux lettres fort incongrues qui lui donnaient des nausées – P.T.